Coal is a black or dark brown combustible rock made primarily of carbon. It was formed millions of years ago when ferns, plants and trees died and fell into swamps. The swamp conditions prevented the organisms from decaying completely and after millions of years of intense heat and pressure coal was formed US Energy Information Administration (EIA). “Coal Explained”. May 2014. http://www.eia.gov/energyexplained/index.cfm?page=coal_home US Energy Information Administration (EIA). “Coal Explained”. May 2014. http://www.eia.gov/energyexplained/index.cfm?page=coal_home US Energy Information Administration (EIA). “Coal Explained”. May 2014. http://www.eia.gov/energyexplained/index.cfm?page=coal_home US Energy Information Administration (EIA). “Coal Explained”. May 2014. http://www.eia.gov/energyexplained/index.cfm?page=coal_home US Energy Information Administration (EIA). “Coal Explained”. May 2014. http://www.eia.gov/energyexplained/index.cfm?page=coal_home US Energy Information Administration (EIA). “Coal Explained”. May 2014. http://www.eia.gov/energyexplained/index.cfm?page=coal_home US Energy Information Administration (EIA). “Coal Explained”. May 2014. http://www.eia.gov/energyexplained/index.cfm?page=coal_home US Energy Information Administration (EIA). “Coal Explained”. May 2014. http://www.eia.gov/energyexplained/index.cfm?page=coal_home US Energy Information Administration (EIA). “Coal Explained”. May 2014. http://www.eia.gov/energyexplained/index.cfm?page=coal_home . Lignite (25%-35% carbon): Also referred to as brown coal, is the lowest rank of coal and used almost exclusively as fuel for electricity power generation. Sub-bituminous coal (35%-45% carbon): Properties range from those of lignite to those of bituminous coal. It is used primarily as fuel for electricity power generation. This coal generally has a lower sulfur content than other types, which makes it attractive for use because it burns cleaner. Bituminous coal (45%-86% carbon): Black and sometimes dark brown, often with well-defined bands of bright and dull material. It is used primarily as fuel in electricity power generation, with substantial quantities also used for heat and power applications in manufacturing and to make coke for steel making. Anthracite coal (86%-97% carbon): A hard, glossy black coal that is used for home heating and steel making Coal Association of Canada (CAC). “Coal Basics”. January 2015.http://www.coal.ca/coal-basics/ Coal Association of Canada (CAC). “Coal Basics”. January 2015.http://www.coal.ca/coal-basics/ Coal Association of Canada (CAC). “Coal Basics”. January 2015.http://www.coal.ca/coal-basics/ Coal Association of Canada (CAC). “Coal Basics”. January 2015.http://www.coal.ca/coal-basics/ Coal Association of Canada (CAC). “Coal Basics”. January 2015.http://www.coal.ca/coal-basics/ Coal Association of Canada (CAC). “Coal Basics”. January 2015.http://www.coal.ca/coal-basics/ Coal Association of Canada (CAC). “Coal Basics”. January 2015.http://www.coal.ca/coal-basics/ Coal Association of Canada (CAC). “Coal Basics”. January 2015.http://www.coal.ca/coal-basics/ . Coal can be burned for heating or to produce electricity. To convert thermal coal to electricity, it is first milled to a fine powder, which increases the surface area and allows it to burn more quickly. The hot gases and heat energy produced from combustion converts water into steam to run a turbine and generator International Energy Agency (IEA). "Coal". January 2015. http://www.iea.org/topics/coal/ International Energy Agency (IEA). "Coal". January 2015. http://www.iea.org/topics/coal/ International Energy Agency (IEA). "Coal". January 2015. http://www.iea.org/topics/coal/ International Energy Agency (IEA). "Coal". January 2015. http://www.iea.org/topics/coal/ International Energy Agency (IEA). "Coal". January 2015. http://www.iea.org/topics/coal/ . 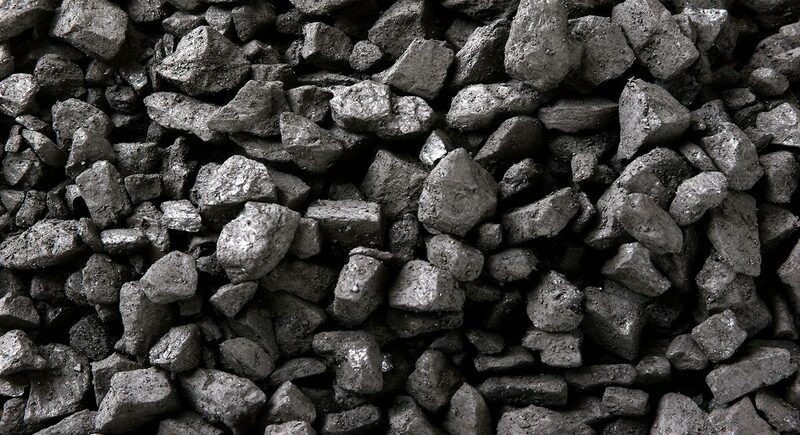 High quality coal is also a useful raw material; for example, it can be converted to coke for steel-making. Coal can also be converted to liquid or synthetic gas by advanced chemical processes, making it a possible, but costly, replacement for natural gas or liquid fuels for transportation. Coal is a highly abundant and cheap energy resource. Coal has powered the industrialization of many nations over history and continues to today. It is a big player in today’s energy system, providing 40% of the world’s electricity World Coal Association (WCA). "Coal & Electricity". January 2015. http://www.worldcoail.org/coal/uses-of-coal/coal-electricity/ World Coal Association (WCA). "Coal & Electricity". January 2015. http://www.worldcoail.org/coal/uses-of-coal/coal-electricity/ World Coal Association (WCA). "Coal & Electricity". January 2015. http://www.worldcoail.org/coal/uses-of-coal/coal-electricity/ World Coal Association (WCA). "Coal & Electricity". January 2015. http://www.worldcoail.org/coal/uses-of-coal/coal-electricity/ World Coal Association (WCA). "Coal & Electricity". January 2015. http://www.worldcoail.org/coal/uses-of-coal/coal-electricity/ . One major concern with coal is the mining practices used to extract the resource. Ecological impacts and human safety issues, both for workers and neighboring communities, are growing concerns for the industry. Coal is the most CO2 intensive fossil fuel when combusted because it is composed largely of carbon. Coal also contains other elements that cause pollution problems including sulphur, nitrogen, mercury and heavy metals. SOx is a leading cause of acid rain, and NOx emissions contribute to smog. In addition, particulates from coal combustion can be harmful to human health Boyle, G., Everett, B., & Ramage, J. (Eds.). (2003). Energy Systems and Sustainability: Power for a a Sustainable Future. Oxford: Oxford University Press. Boyle, G., Everett, B., & Ramage, J. (Eds.). (2003). Energy Systems and Sustainability: Power for a a Sustainable Future. Oxford: Oxford University Press. Boyle, G., Everett, B., & Ramage, J. (Eds.). (2003). Energy Systems and Sustainability: Power for a a Sustainable Future. Oxford: Oxford University Press. Boyle, G., Everett, B., & Ramage, J. (Eds.). (2003). Energy Systems and Sustainability: Power for a a Sustainable Future. Oxford: Oxford University Press. Boyle, G., Everett, B., & Ramage, J. (Eds.). (2003). Energy Systems and Sustainability: Power for a a Sustainable Future. Oxford: Oxford University Press. Boyle, G., Everett, B., & Ramage, J. (Eds.). (2003). Energy Systems and Sustainability: Power for a a Sustainable Future. Oxford: Oxford University Press. Boyle, G., Everett, B., & Ramage, J. (Eds.). (2003). Energy Systems and Sustainability: Power for a a Sustainable Future. Oxford: Oxford University Press. Heinberg, R. (2009). Blackout: Coal, Climate and the Last Energy Crisis (pp. 1–12, 113–144). Heinberg, R. (2009). Blackout: Coal, Climate and the Last Energy Crisis (pp. 1–12, 113–144). Heinberg, R. (2009). Blackout: Coal, Climate and the Last Energy Crisis (pp. 1–12, 113–144). Heinberg, R. (2009). Blackout: Coal, Climate and the Last Energy Crisis (pp. 1–12, 113–144). Heinberg, R. (2009). Blackout: Coal, Climate and the Last Energy Crisis (pp. 1–12, 113–144). Heinberg, R. (2009). Blackout: Coal, Climate and the Last Energy Crisis (pp. 1–12, 113–144). Heinberg, R. (2009). Blackout: Coal, Climate and the Last Energy Crisis (pp. 1–12, 113–144). . Concerns about climate change from greenhouse gas emissions have put a spotlight on coal plants and have prompted the development of ‘clean coal’ technologies like carbon capture and storage Ghosh, T. K., & Prelas, M. A. (2009). Energy Resources and Systems Volume 1: Fundamentals and Non-Renewable Resources (pp. 159–279). Springer Science + Business Media. Ghosh, T. K., & Prelas, M. A. (2009). Energy Resources and Systems Volume 1: Fundamentals and Non-Renewable Resources (pp. 159–279). Springer Science + Business Media. Ghosh, T. K., & Prelas, M. A. (2009). Energy Resources and Systems Volume 1: Fundamentals and Non-Renewable Resources (pp. 159–279). Springer Science + Business Media. Ghosh, T. K., & Prelas, M. A. (2009). Energy Resources and Systems Volume 1: Fundamentals and Non-Renewable Resources (pp. 159–279). Springer Science + Business Media. Ghosh, T. K., & Prelas, M. A. (2009). Energy Resources and Systems Volume 1: Fundamentals and Non-Renewable Resources (pp. 159–279). Springer Science + Business Media. Ghosh, T. K., & Prelas, M. A. (2009). Energy Resources and Systems Volume 1: Fundamentals and Non-Renewable Resources (pp. 159–279). Springer Science + Business Media. Ghosh, T. K., & Prelas, M. A. (2009). Energy Resources and Systems Volume 1: Fundamentals and Non-Renewable Resources (pp. 159–279). Springer Science + Business Media. .
a, b Boyle, G., Everett, B., & Ramage, J. (Eds.). (2003). Energy Systems and Sustainability: Power for a a Sustainable Future. Oxford: Oxford University Press. ^ Heinberg, R. (2009). Blackout: Coal, Climate and the Last Energy Crisis (pp. 1–12, 113–144). ^ Ghosh, T. K., & Prelas, M. A. (2009). Energy Resources and Systems Volume 1: Fundamentals and Non-Renewable Resources (pp. 159–279). Springer Science + Business Media.